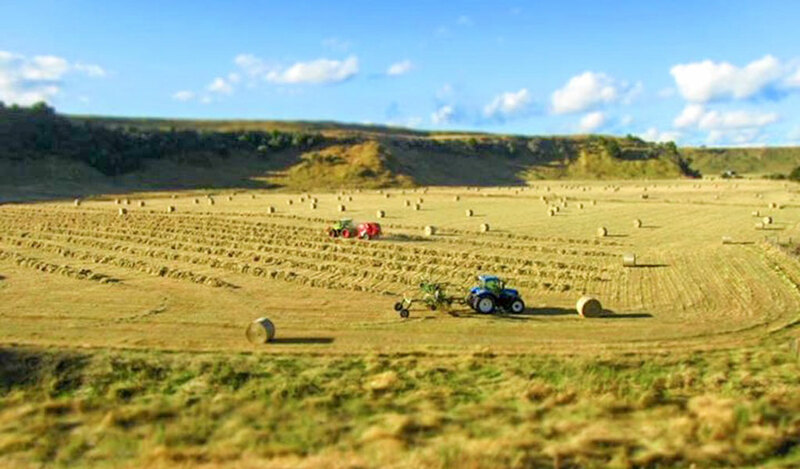 Bruce Gordon Contracting Ltd offers a full cultivation and baling service, as well as a general freight service. Round, square or conventional bales. We also buy standing grass and straw: so for any surplus grass or straw, call us! We offer top royalties for every bale taken, and you don'g have to do a thing. We will take care of the job from start to finish. I formed Bruce Gordon Contracting in 1981 with an Iseki tractor with a minimal amount of attachments. I worked part time for a lot of people including the odd day shearing, which I was trying to give up. As the business grew I was able to concentrate entirely on growing the contracting as well as my farming interests. Soon I was hiring staff, and of special note in those early days, was a man called Doug Brophy who helped me in so many ways, that without him the business would not be where it is today. Having a young family meant juggling many things at the same time. In those early years it was evident that the Rangitikei was a food bowl for the rest of the North Island. Seldom did we have droughts and if we did they were mainly in the autumn. Supplying the insatiable horse trainers in Takanini, Auckland became a full time, year round business. Hay, red clover, lucern and straw were the main products wanted. Overtime, along with the many small mushroom farms, things began to change as housing pressures in South Auckland pushed these trainers and farmers out. As this happened the demand from North Auckland strawberry farmers grew. We have now been supplying some of those second generation farmers for 25 years, and some more. 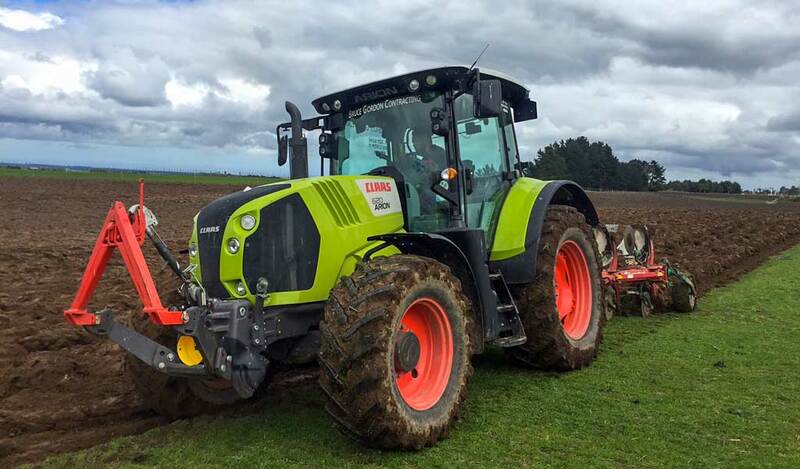 The local demand for cropping work grew along with direct drilling and demands for good quality feeds from dairy farmers. This market was mainly in the Taranaki, however reached to southern Hawke’s Bay as well. In later years I made a bigger commitment to my role on the Regional Council and have been privileged to have had Richard Howard step up and manage the company for me. Richard worked in the company for a little over ten years and will be missed dearly. Over the years my family have all contributed during varsity semesters and know first-hand what is involved in the work that is required. My partner Carol also works and helps in the admin side of running the company, and helps keep me sane. We have always have had a family type approach to staff, and long may this continue. As always there are some of you that have always spoken directly to me when it comes to your requests, and I remain always willing to help. My name is Laurence Ingley and I am one of the managers at Bruce Gordon Contracting. I have been working for Bruce’s business for over four and a half years so I have probably met many of you already when Richard Howard was running the business. I really enjoy all aspects of farming and agriculture. I’m a local guy originally from Marton and have lived here most of my life so I know the area well. I’m new to working in management and look forward to continuing to help the business grown and succeed. I have enjoyed working with you all and look forward to seeing you again soon. Hi, my name is Mike Hancock, I am one of the managers at Bruce Gordon Contracting. I grew up on a farm in Southland, so I have been in the agricultural sector for most of my life. 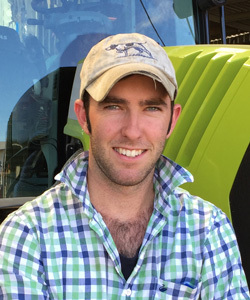 I look forward to meeting and speaking to you when it comes to your farm requirements as I am enthusiastic to help. There is one vacancy at present. 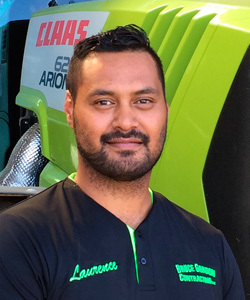 We are currently looking for an experienced truck driver – apply below and send a copy of your CV and cover letter.